Usually, the first thing people notice when they walk into your home is the floors. Flooring can make a huge impression on guests and potential homebuyers. If it’s faded, stained, discolored or you just think it looks bad, it can be a source of embarrassment. You might think you have to replace it but maybe you should consider giving it facelift and refurbish it instead. If it’s in good shape but just looks bad, then dyeing it is an option because spending money to replace quality carpet is just a waste! There are a few things to think about when you’re trying to decide if you should dye your carpet. 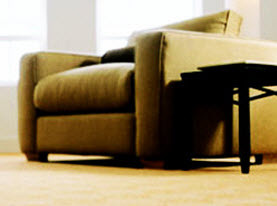 When your carpet is of high-quality and is less than 10 years old, it rarely needs to be replaced. There are times when even newer carpets can start to look old and worn before you’d like. Carpet dyeing is the process where an expert will apply a new color to the carpet fibers or just work on specific spots to match the color of the existing carpet. It’s a good option if you’re looking for a fast and efficient way to restore your carpet without spending a lot of money. The average cost of dyeing your carpet is a third less than it would cost to replace it. But carpet dyeing may not be the answer in every situation. If your carpet would not last more than another year or two after its been dyed, then it’s not worth it. 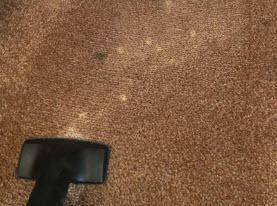 There are situations where carpet will need to be repaired to take care of a stain. Professionals can assess your carpet and help you determine what your options are. Carpet dyeing professionals are trained in color coordination concepts. This is a change in your home that should blend in and look natural. The dye should remain invisible to the naked eye. •	Carpet spot control. 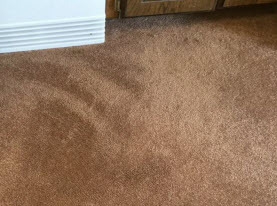 Carpet stains are rarely white unless they’re caused by bleach. They are usually pinkish in color. 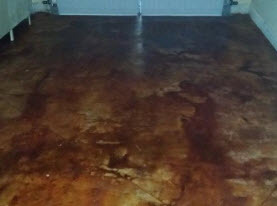 The stain needs to be offset by a counteracting color, so it will match the original color. This takes expert training and application. •	Carpet re-coloring. Changing the color completely also takes expert training and application. For example, if you want your yellow carpet to be brown, dyes of an opposite shade will need to be used. Also, you can’t go lighter, you can only go darker. •	Safe carpet dyeing supplies. Certified technicians will only use products that are safe to use in your home. These dyes immediately colorfast to the carpet fibers and can’t be rubbed, walked or vacuumed off, for a lifelong result. If your carpet isn’t looking as good as it once did, carpet dyeing is an economical way to restore it back to its former glory. Contact Agape Carpet Color Restoration today for residential and commercial carpet dyeing.